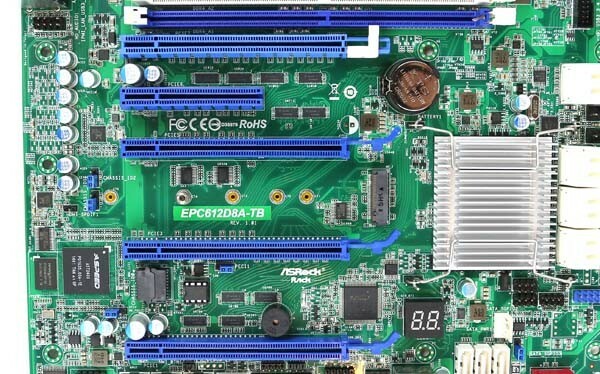 The ASRock Rack EPC612D8A-TB we are reviewing today is very interesting because it straddles the line between server and workstation platforms. 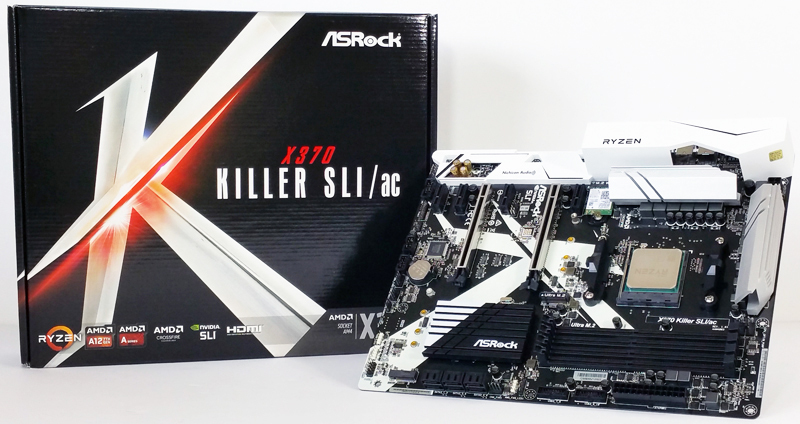 This motherboard is produced by the ASRock Rack division, focused on building server platforms. 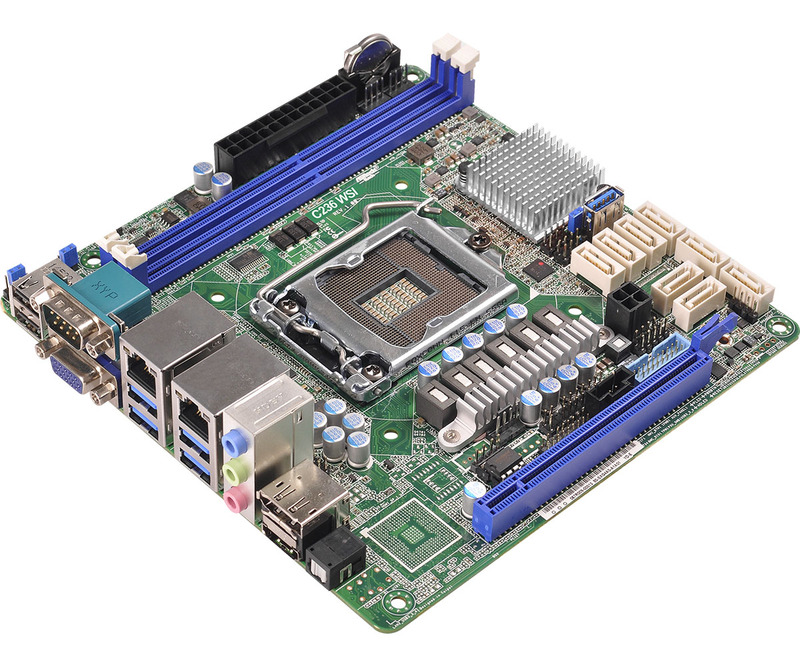 The ASRock Rack EPC612D8A-TB is a single socket LGA2011-3 platform that has interesting features such as Thunderbolt connectivity and audio that are typically found on workstation motherboards. Conversely, it has features such as onboard IPMI management which allow it to be used as a server platform. With these onboard features, there is considerable versatility in the platform. We used a fairly typical DP setup for this type of server and what we have used previously in our Intel Xeon E5-2600 V3 coverage. The test platform was rather expansive due to the enhanced SSD capacity of the motherboard. 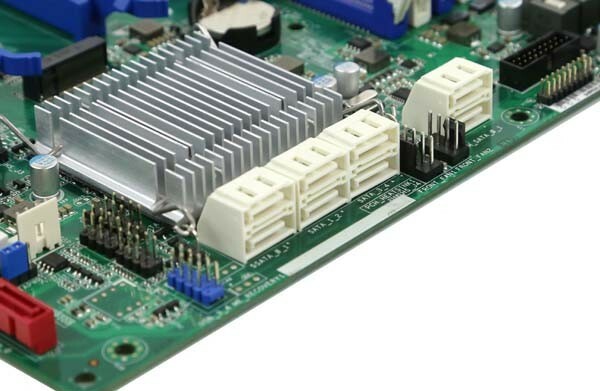 The ASRock Rack EPC612D8A-TB utilizes a 12 in x 9.6 in ATX form factor. This ensures that the motherboard has broad compatibility with chassis options available today including many shorter depth rackmount chassis and even mainstream desktop chassis. The overall board layout is standard which also helps with chassis selection. 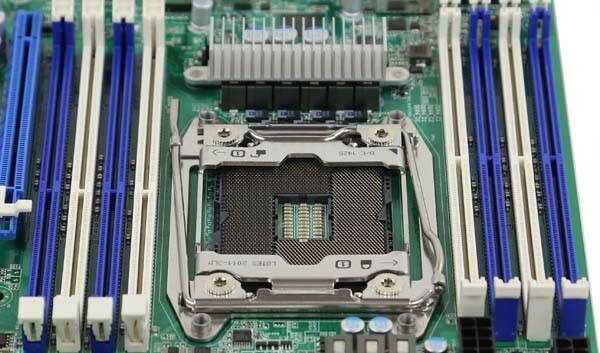 The LGA2011-3 socket uses a narrow ILM cooler mounting configuration. This allows for a narrower cooling solution and therefore oftentimes more DIMM slots. One can see that the motherboard is a 2DPC (DIMMs per channel) design with eight DDR4 DIMM slots. One can see that these DIMM slots have one fixed post and one latching post on each slot. Just above the CPU socket there is a standard 8-pin CPU power connector as well as the 24-pin power connector. One suggestion I would make for future motherboards is to change the color of the 4-pin PWM fan headers. The 4-pin power connectors are black and the same color as many of the other components on the motherboard. In a dimly lit chassis, it can be hard to see the black fan headers. In terms of PCIe slots there are four PCIe x16 physical and one PCIe x8 physical (open ended). The x16 slots are configured as two pairs that can run either in PCIe x16 and x0 (one slot used at x16 and the other empty) or x8 + x8 electrical mode. 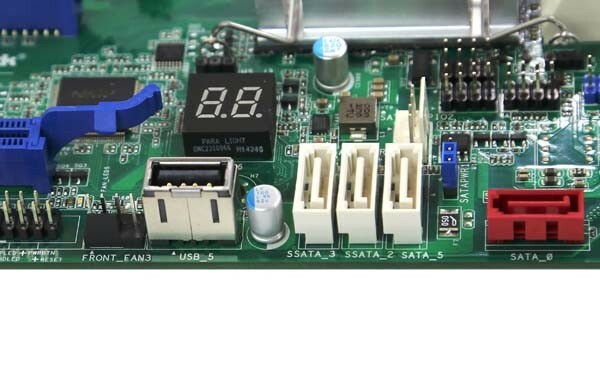 The x8 physical slot can run at PCIe 3.0 x8 electrical or x4 electrical is the mPCIe slot is populated. There is also a M.2 PCIe x4 SSD slot. The M.2 form factor is awesome in servers because it alleviates the need for a front facing bay and provides an easy access point for higher speed storage. Along the bottom corner of the motherboard ASRock has a diag code LED. This can be useful when diagnosing issues. Below this is a USB 2.0 Type-A header for internal USB keys. These can be handy for applications such as NAS OS installation, ESXi installation and other installations that do not require high write endurance. Next to these ports are four SATA ports, the red one intended for a SATADOM module. These SATA III ports are tied to the Intel PCH. Moving around the corner three is a block of six SATA III ports. These SATA 6.0gbps ports are also terminated by the Intel PCH. There are two 4-pin fan headers between the block of six and two Marvell 8172 controlled SATA III 6.0gbps ports. One word of caution. Although the Marvell 8172 ports do work on OSes such as Windows and Linux, they are not supported out of the box by VMware ESXi. The rear I/O panel is certainly full There are legacy VGA and serial ports followed by two gigabit Ethernet ports. These gigabit Ethernet ports use Intel i210 and i217LM controllers. The next header block is a USB 2.0 ports. One can also see an out-of-band management LAN port (more on this below). All of these ports are certainly standard for server motherboards. Alongside these standard server I/O capabilities, there are workstation relation I/O ports. One can see a Thunderbolt port and a Displayport in. This should not be confused with a Displayport output port since it is used to route video from an add-in card over the motherboard’s Thunderbolt connection. Rounding out typical workstation features there are two USB 3.0 ports and integrated audio (Realtek ALC1150 based.) The array of ports certainly does add to the versatility of this motherboard. 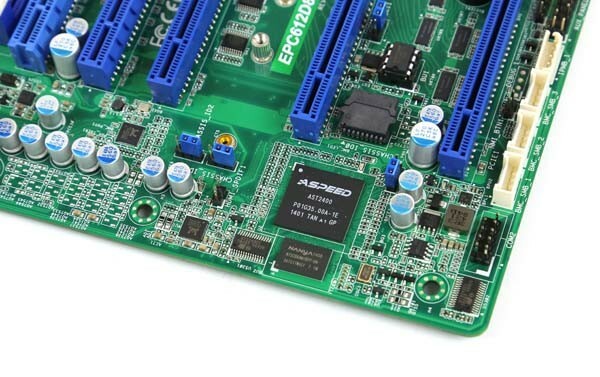 One other feature that should be mentioned is the ASPEED AST2400 BMC found on the motherboard. 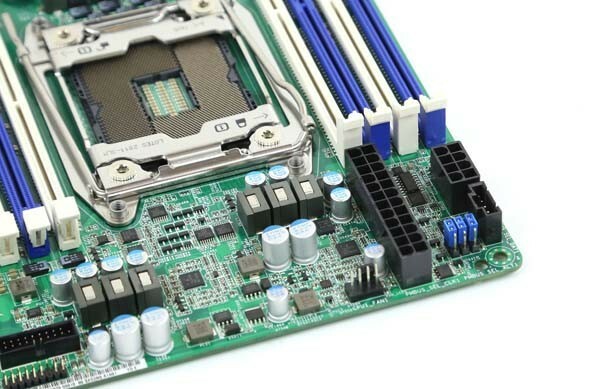 This package helps provide the out-of-band management features, onboard video and other server related features to the motherboard platform. Overall the hardware is an interesting mix of server and workstation capabilities. It certainly feels like one can make a workstation using the system today and then transition it easily to a server role. 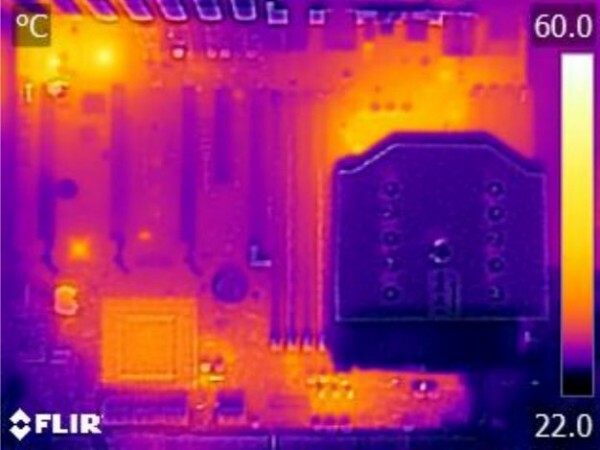 To capture these images we utilize our FLIR Ex series professional thermal imaging camera and turn on FLIR’s MSX enhancements so we can see components outlined clearly. We put the system under 100% CPU load for a period of 24 hours to let “heat soak” set in prior to taking the images. Overall the ASRock Rack EPC612D8A-TB runs relatively cool. There is heat generated as exhaust from our Xeon E5 processor but nothing is too hot. It is standard practice to not use a heatsink on the AST2400 BMC across vendors and temperature readings here, while relatively warm, are still well within spec for the part. 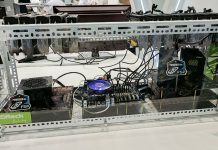 It is relatively warm solely because the overall platform runs very cool since it does not have high power/ heat features such as RAID controllers and high-speed networking. ASRock Rack has an industry standard web management interface based on the American Megatrends MegaRAC solution. The ASRock Rack IPMI 2.0 implementation has an array of configuration options and sensor information. One of the more interesting features is the ability to graph sensor information over time. ASRock Rack includes remote KVM-over-IP functionality. From what we understand, 80% or more of servers are now supporting IPMI 2.0 and some sort of KVM-over-IP solution. The reason is simple. In a datacenter, KVM-over-IP saves companies a lot of time by allowing remote administration instead of having to physically access the server. Companies like HP, Dell, Lenovo and Intel are charging more for full KVM-over-IP functionality, but ASRock includes it with the motherboard. That is by far the preferred way to bundle the functionality. 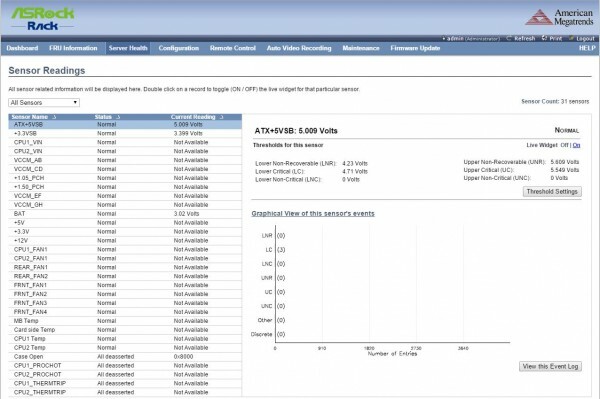 The ASRock Rack Remote management solution provides the remote administrator with the information they need to manage servers far away from the home office. 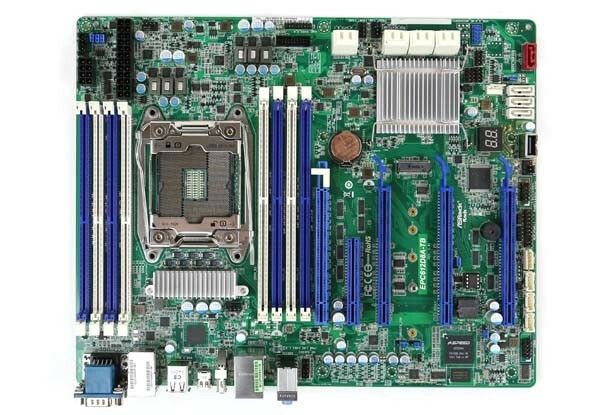 The ASRock Rack EPC612D8A-TB is an interesting motherboard because it checks so many boxes. It has remote manageability, Thunderbolt capabilities, onboard audio, additional SATA slots, a mPCIe slot and several PCIe expansion slots. The motherboard runs cool and the compact ATX form factor allows for flexibility in terms of chassis configurations. The only major area of suggestion for future revisions is to explore using a VMware ESXi supported add-in storage controller. On the other side, that type of storage controller often adds significant costs to a motherboard so there is a trade-off involved. Overall the ASRock Rack EPC612D8A-TB was solid during our testing over three weeks of load and has versatility make it a server or workstation platform. I’m not quite getting this. Why have TB and remote management on the same board? I’d rather save money up front.